In the early 1980s, Motorola was the “patron saint” (and near monopolist equipment provider) of Part 90 and decided that Part 90 was running out of spectrum. Cellular existed then but no one thought it would over be more important than Part 90- Motorola’s main product. Part 90 never got more spectrum but modest increase in technology and crosselastic growth in cellular made the problem go away. Ironically analog HDTV was never implemented as DTV replaced it in the planning cycle. DTV allowed more intense use of TV spectrum so cellular intruded into TV spectrum NOT Part 90! After all, if growth is 10-50%/year you just can’t meet it with new spectrum. 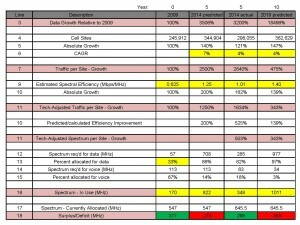 While some could argue exactly how much cellular capacity would increase with a 50% increase in available spectrum the numbers are in the range of 40-200% increase, not a 5000% increase. Large compound growth rates can not be met with spectrum, but rather with infrastructure and new technology as the main factors. Great blog, but did you mean to say “…Sprint declined to participate…”, not Verizon. Thanks. No, I meant Verizon (although Sprint didn’t participate either). No-one has been able to identify any auction deposit made by Verizon, which would have shown up in their 2016Q3 balance sheet if it were material. Thanks for clarifying. Very interesting! I too have analyzed the FCC and Brattle reports for my client. 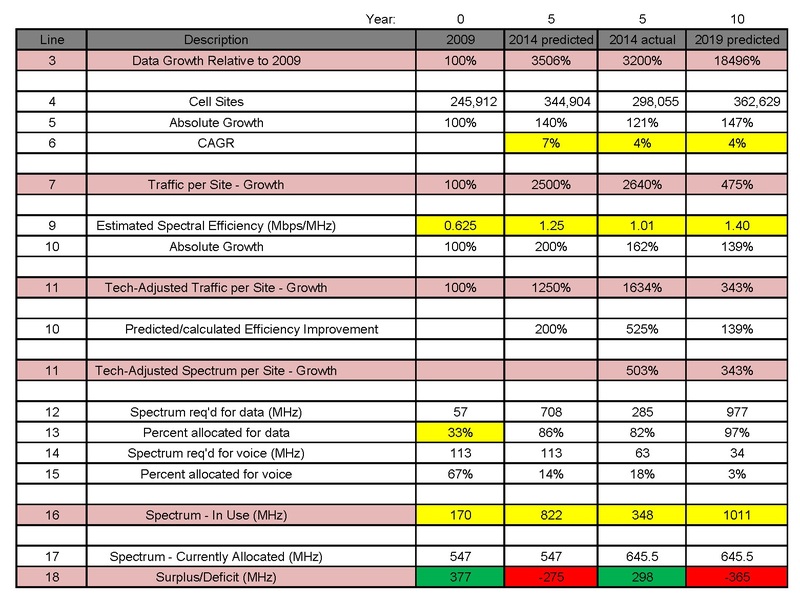 I thought a major shortcoming was not considering the increase is spectral efficiency with 5G. In addition, I found a math error in the Brattle report. 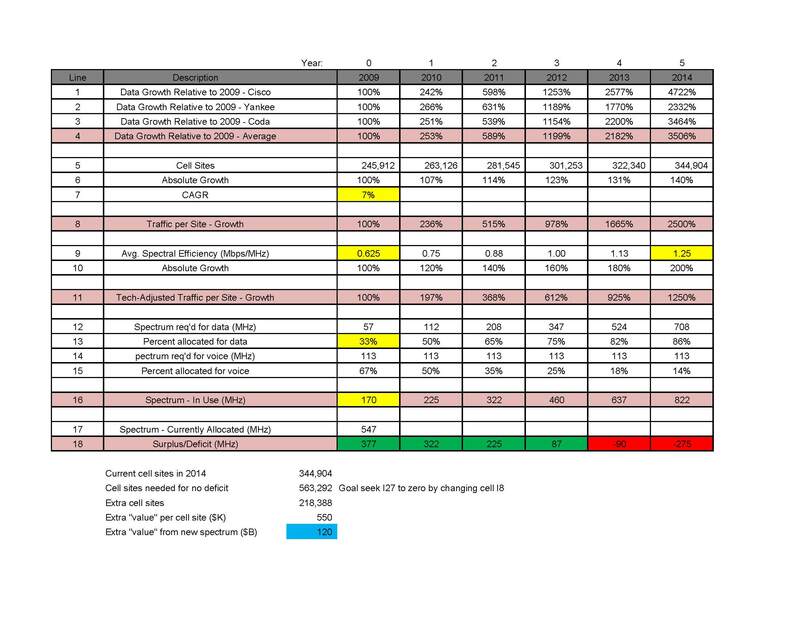 In its forecast in table 5, the spectral efficiency of 1.40 shown in row 8 for 2019 is the 2018 value – they picked up the wrong number from their earlier table. The correct number for 2019 is 1.48; running through the math reduces the calculated deficit to 310 MHz.